First appearance since Monster Hunter Portable 3rd. Players will be able to hunt the Storm Dragon Amatsumagatsuchi in Monster Hunter X, Capcom confirmed at the Tokyo Game Show. Amatsumagatsuchi first and last appeared in Monster Hunter Portable 3rd for PSP. 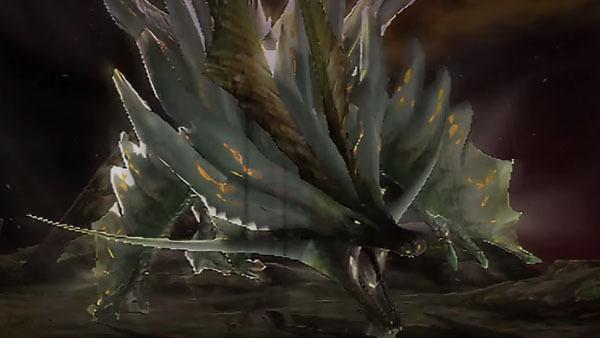 Read about the dragon over at the Monster Hunter Wikia. Monster Hunter X is due out for 3DS in Japan on November 28. Watch an updated Tokyo Game Show trailer teasing Amatsumagatsuchi at the end below.